This metropolitan area includes Tampa, St. Petersburg, and Clearwater, all of which surround Tampa Bay. The area is varied and cosmopolitan with a pleasant climate and balanced local economy. A 1980’s building boom brought downtown Tampa skyscrapers, a major airport renovation, and the development of a cruise-ship terminal. While soft in the early part of the decade, the economy has gained traction recently as the benefits of a business-friendly climate have paid off. Among other new economy pursuits, the area has become a favorite as a secondary location for information processing for the financial industry. There are plenty of amusement parks, museums, outdoor activities, and major-league professional sports, including baseball (Devil Rays), football (Buccaneers), and hockey (Lightning). Nearby beaches and especially those to the south near Bradenton are attractions for locals and tourists alike. Transportation and air service are excellent. Beachside areas in Clearwater and St. Petersburg are tastefully developed, with palm-tree lined boulevards and pockets of interesting restaurants and shops. These areas tend to be more geared to retirees, especially coastal Clearwater. 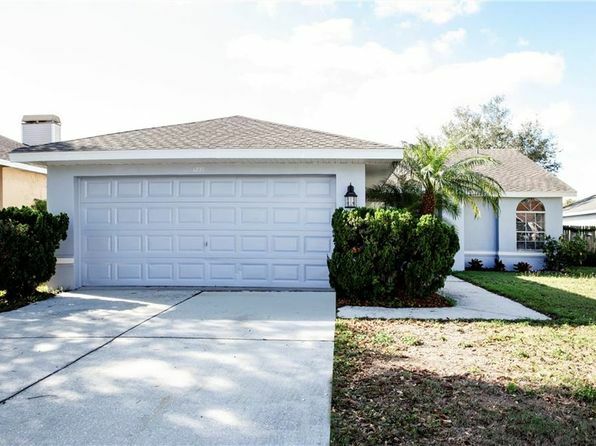 More family-oriented suburbs and extensive commercial areas like Brandon and Valrico are located east of Tampa. The cost of living is reasonable, but housing has followed the Florida boom and median home prices have increased markedly. Downsides include the stubbornly high violent crime rate, and typical growth-related issues of traffic and poor air quality. The flat, coastal plain has coastal grasses, palm trees, and white sand, and much of it has an elevation of less than 15 feet. Most of the city area and coast is built up, with coastal plain forests of pine and laurel mixed with orchards and other agricultural uses inland. The Pinellas Peninsula, separating Tampa Bay from the Gulf, is an area of broad, sandy beaches and palm trees. Clearwater and St. Petersburg are located here. Summers are long, warm, and humid. Afternoon highs reach 90 degrees, with moderating afternoon sea breezes and frequent thunderstorms, and warm evenings in the 70’s. Lightning is abundant; in fact, “Tampa” is a misspelling of a Native American term for “sticks of fire” (lightning). Winters are mild with temperatures in the 60’s and 70’s, and lows rarely below 50. The median home price in Brandon is $202,500. Browse Homes in this Range. 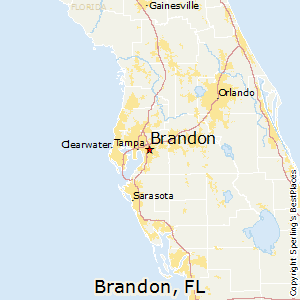 Compare Brandon, Florida to any other place in the USA.